Samsung ML-3750ND Drivers and Software for Microsoft Windows and Macintosh OS. Samsung C3010DW Printer Drivers and Software for Microsoft Windows and Macintosh OS. 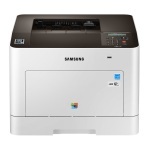 Samsung Multifunction Printer Xpress M3065FW Drivers and Software for Microsoft Windows and Macintosh OS. Samsung SL-M3015DW Printer Drivers and Software for Microsoft Windows and Macintosh OS. Samsung ML-1630W Printer Drivers and Software for Microsoft Windows and Macintosh OS.